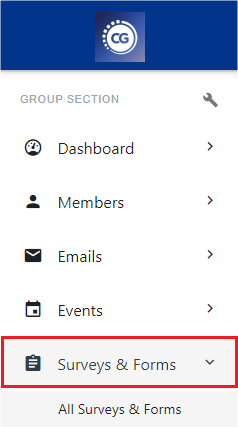 Click on 'Surveys and Forms' on your left-side menu. 4.Click on 'Create' on the right. 5. A popup window opens. Click on 'Quiz'. 7. 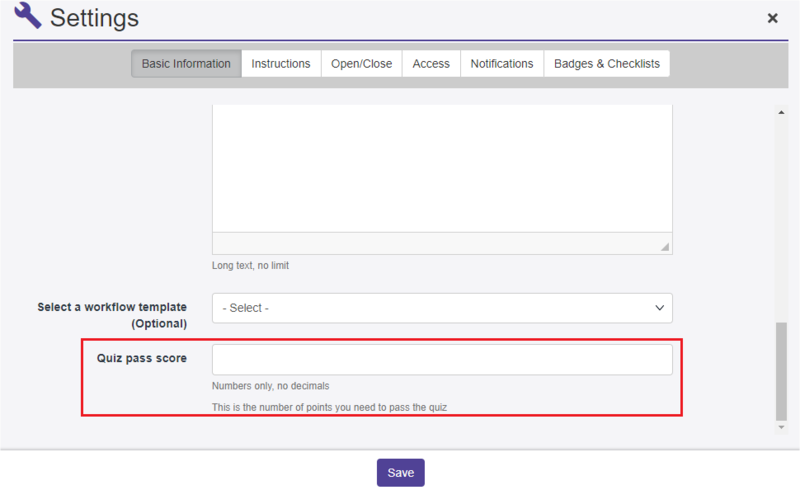 Add the number of points needed to pass the Quiz under 'Quiz pass score' and click on 'Save'. 8. 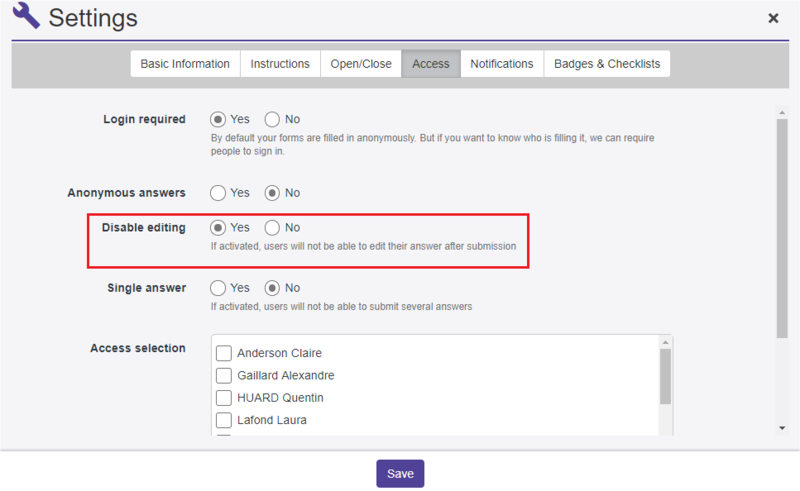 Click on the 'Access' tab and set the 'Login Required, 'Disable Editing' and 'Single Answer' fields to 'Yes' and 'Anonymous answers' to 'No'. Click on 'Save'. 9. Edit the Survey. 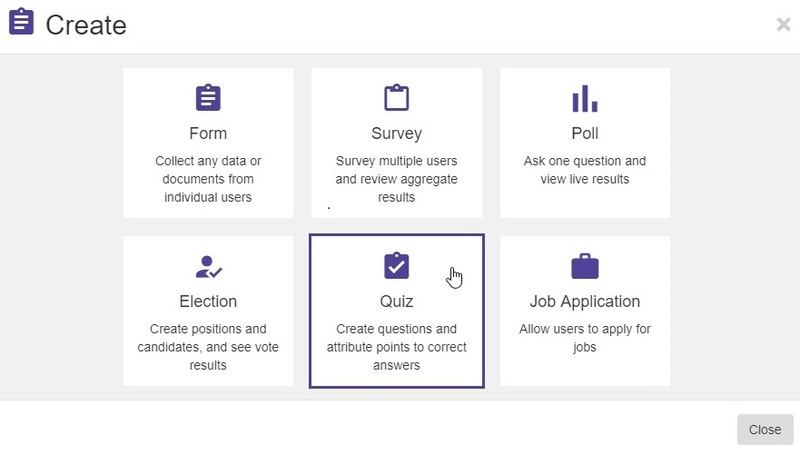 Click on 'Add question' and select the 'Quiz' question type. 10. 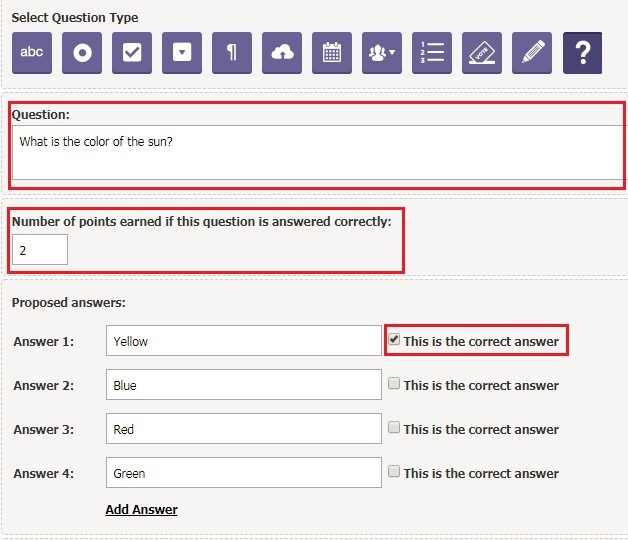 Add the question under the 'Question' field, the number of points earned when the question is answered correctly and select the correct answer by checking the 'This is the correct answer' checkbox. Please note only one answer can be correct. 11. Click on 'Preview' to view the 'Quiz'. 12. After submitting the Quiz, students will see their scores and if they fail or pass. 13. 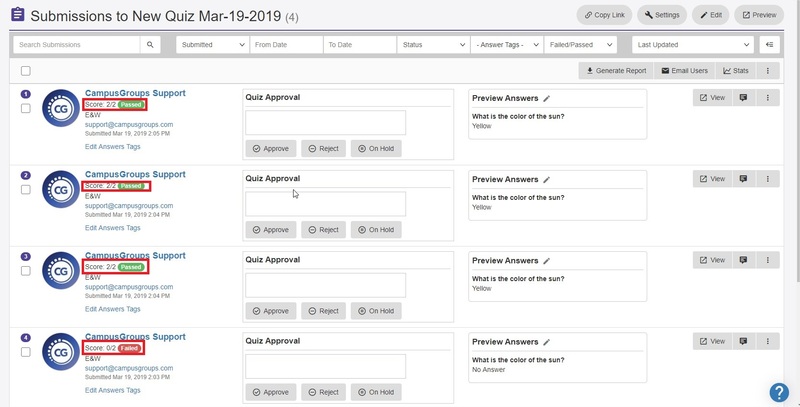 Officers can retrieve students' scores by managing the survey.